Welcome To "Santa, Baby..." Day ONE! I don't know about you, but I could legally be called "THE DESTRUCTOR OF ALL SEWING BAGS!" I've had my Tutto bag for 5 years now, through thick and thin, to retreats, to shows, on airplanes, and in cars, and EVERYTHING still works. This bag has lots of pockets and zippers and elastics to hold ALL of your gear. 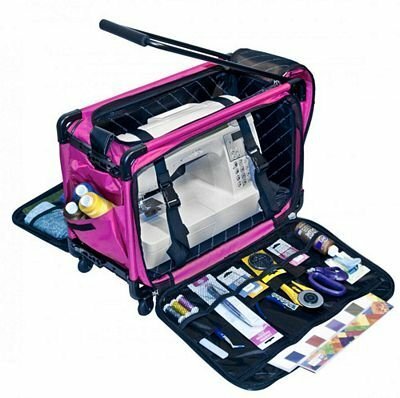 this bag folds down to just 3" in width, so you can store it ANYWHERE! You MUST order by midnight December 1st to get this price! CLICK HERE TO ORDER and to get the specifications on bag size.